Enroll your child in a nursery school which has been nurturing young bodies, hearts and minds for over 40 years. Temple Beth Tikvah Nursery School - where creativity, love of learning and joy combine to make a wonderful day for your child. Unique readiness program “Ready2Go” for 2 year olds with a parent (or other adult care taker), featuring expert speakers. Learn more about the Parent-Child program for 2 year olds HERE. Classes for 3, 4 and 5 year olds featuring stimulating activities that emphasize critical thinking skills and prepare your child for Kindergarten and beyond. Click the links to the left to learn more about these programs. Eco-friendly playground and class experiences with nature, science and art. Click on the images below to meet our teachers! Our next enrichment program begins on April 3, 2019. Call the school to learn more. How High Can You Stack Them? Our TBT Nursery School Purim Parade will be held on Wednesday, March 20th at 12:15 PM. The children will be celebrating all morning leading up to the parade. Always a fun day! Enrollment is open for the 2019 - 2010 school year! 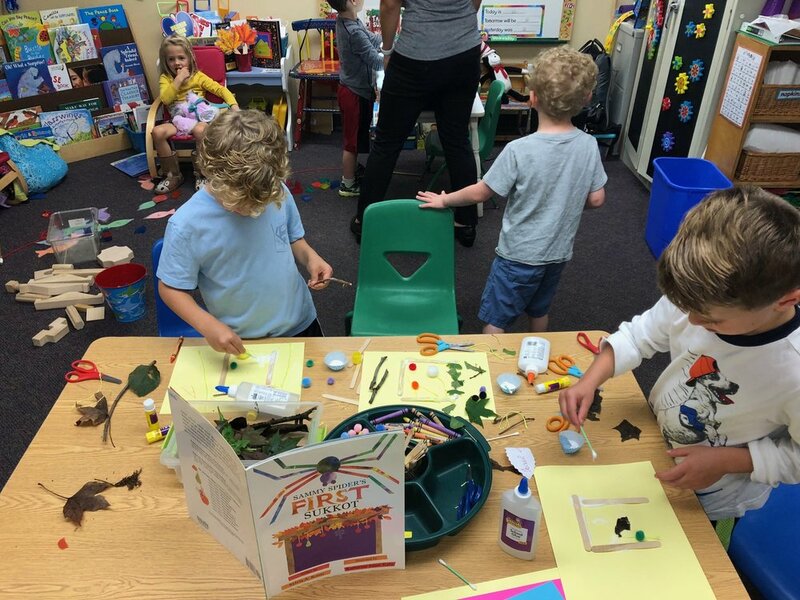 If you know of a child, aged 2 - 5 years old, who would enjoy our wonderful learning environment, contact Nursery School Director Bernadette Stak at nsdirector@tbtshoreline.org, or call 203-245-8039 to get started in the 2019 - 2020 school year. We celebrate Shabbat weekly, often with Cantor Stanton, and Jewish values are woven throughout our curriculum. Jewish holidays are introduced to all our students through traditional foods, songs, and stories. Our play-based philosophy is known for sending students from our preschool to their kindergarten experience "ready to learn." Learn more about the importance of play HERE. TBTNS students enter school with self-confidence, curiosity and a love for school.